Miami University School of Business commissioned me to create, paint two large watercolors for the purpose of producing posters to be used for advertising their new Schools . It was a very cold winter day and I went and sat on the grounds of the University to capture their new architecture. 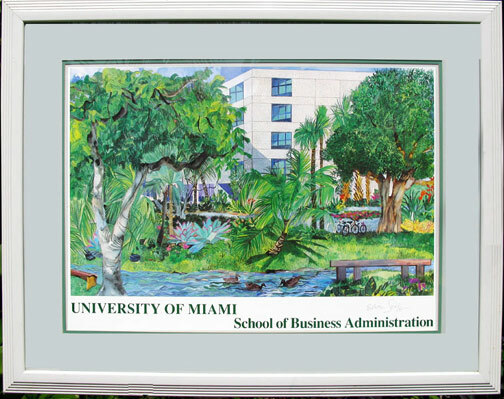 The bicycles of the students, the ducks in the small creek in front all capture the energy of Miami.